The Gold Awards are presented at the Annual Parish Council in March and we are delighted that two of our invaluable volunteers have been recognised for their work and support in the community. 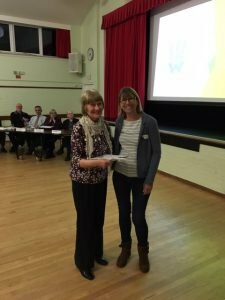 The Gold Awards are given by the Parish Council to people for their dedication to volunteering in Wheathampstead. “Bel Bluemel the Wheathampstead Community Group Community Secretary visits all the people who request some form of financial help from WCG. The role requires endless patience, understanding and empathy and there is no doubt that Bel has large quantities of these qualities. “Ann Rudeforth has been the Wheathampstead Community Group Transport Secretary for well over 20 years. Her role is to try to ensure that any vulnerable or elderly person living in Wheathampstead is able to attend a medical appointment whether it is the local Village Surgery or Watford or Lister hospitals. Ann has 250 users and 50 volunteer drivers who she organises. It is a vital lifeline for many people who cannot call upon family because they do not live nearby or friends because they too are no longer able to drive. We are incredibly proud of Ann and Bel for winning these awards, without the support of people like Ann and Bel we couldn’t do what we do within your our community. Well done ladies! We would like to thank the amazing Ann for all her time and effort with the Wheathampstead Community Group. Ann is stepping down from her invaluable Transport Co-ordinator post for the WCG after many years supporting and will be sorely missed. Therefore Wheathampstead Community Group (WCG) are seeking a Transport Co-ordinator. We need someone who is going to be able to run a system using emails with the support of 10 organisers who take it in turns to run the system but the Co-ordinator needs to be in overall control. Responsible to the Executive Committee as a whole but reports to the Chair. · Preparing and distributing notes to assist new drivers, including insurance forms. · Ensuring proper and appropriate communication transport scheme plans and needs to the Executive Committee/Chair. 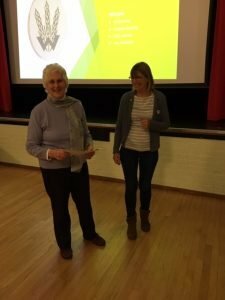 We would like to thank the wonderful Gwladys Shone for all her time and effort with the Wheathampstead Community Group. Gwladys is stepping down from her invaluable Committee Secretary post for the WCG after many years. Therefore Wheathampstead Community Group (WCG) are seeking a Committee Secretary, who is responsible for the smooth running of our formal meetings and the recruitment and administration of our volunteers. The role is important to the support of our Chair. Keeping a record of all new volunteers and ensuring that they are all DBS checked. Coordinating WCG’s annual appeal with other committee members, taking responsibility for the recruitment, briefing and administration of volunteer collectors. 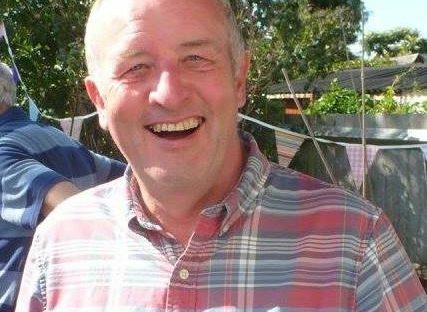 Mike took over the role from David Law last year, here we find out more about him and what his role within the group is and what his future plans are. Over the past 40 years I held a series of senior finance roles in major financial services organisations. I have also operated my own management consultancy, specialising in relationship management, risk management and corporate governance. I am a fellow of the Institute of Chartered Management Accountants (FCMA). Previously and since taking early retirement, I have worked with other charities in voluntary Trustee and Director roles, principally around Finance and Accounting. As Treasurer of Wheathampstead Community Group, I have a hard act to follow after 12 years of sterling service by David Law. Since taking on the role, I have focussed in moving WCG banking and finances on line. I have gone through my first annual collection and leant much from it. However the biggest challenges for me have been around regulatory controls and policies. Financial reporting standards for charities are getting stricter all the time to meet the latest regulations. Privacy and data protection policies, even for small charities like WCG, now have to be formalised and fully documented to meet the latest GDPR standards. Using my business controls experience and working with other WCG Trustees, I have updated these standards and policies for WCG. I have also put together our first fully documented Business Plan and Budget. Over the next 12 months, I plan to review and update other WCG policies and procedures, including Safeguarding. Despite having lived in Wheathampstead for over 30 years, I have surprised myself how much I have learnt about the village and community of Wheathampstead since taking on the role fo Treasurer. I am especially pleased to get know the other WCG Trustees. I can honestly say that I am honoured to be part of such a hard working, contentious team who are all so positive and friendly in their approach to supporting our great community. I look forward to working with my fellow Trustees for many years to come. We would like to thank all those who helped with the WCG appeal for 2017, whether you volunteered or gave a donation. This a vital fundraiser for the Wheathampstead Community Group. It helps us to assist those people who have be referred to us via health visitors, children’s centres, CAB, Scout Leaders, GP’s and many different sources. We are really pleased that we smashed previous donations received and raised an amazing £9,698! This total includes over £1,600 in Gift Aid which makes a huge difference to the overall total. 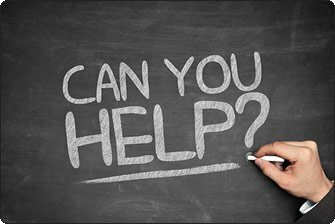 Without the generosity of the Wheathampstead community, the help that we could provide would be greatly reduced. So thank you! 34 Volunteers delivered to over 1,600 properties on 48 roads in Wheathampstead, approximately 60% of all residential and commercial properties in the village. Our volunteers made around 5,000 calls to properties in total in delivering and collecting our appeal envelopes. Each volunteer made on average around 140 calls each. The average donation was ￡12.15. 17 people donated on line raising ￡497.61 including gift aid. 390 of those making donations game permission to claim gift aid on their donation, 60% of all those making donations. This has enabled WCG to claim an additional ￡1,402.95 in gift aid from HMRC. A further ￡1,180.54 of the donations is eligible for the Gift Aid small donations scheme, enabling WCG to claim a further ￡295.24 from HMRC. Including gift aid, the total amount raised by the annual appeal in 2017 was a record ￡9,698.52. A wonderful day afternoon was had by all at the John Bunyan Family Fun Day. 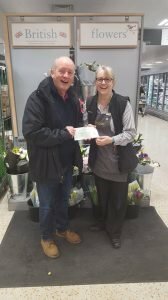 The team at the John Bunyan along with the BHA (Beech Hyde Association) put together an afternoon of fun and raised a wonderful £2,300.00, which will be split between the WCG and the BHA.